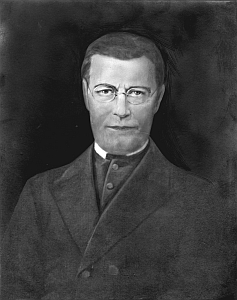 Reverend Leo Meyer was the founder of the American Province of the Society of Mary. He was born on April 24, 1800, at Eguishheim, near Colmar in Alsace, France. He was ordained a priest at Strasburg in 1823 and was sent by the Superior-General of the Marianists to found a new Society of Mary province in America. 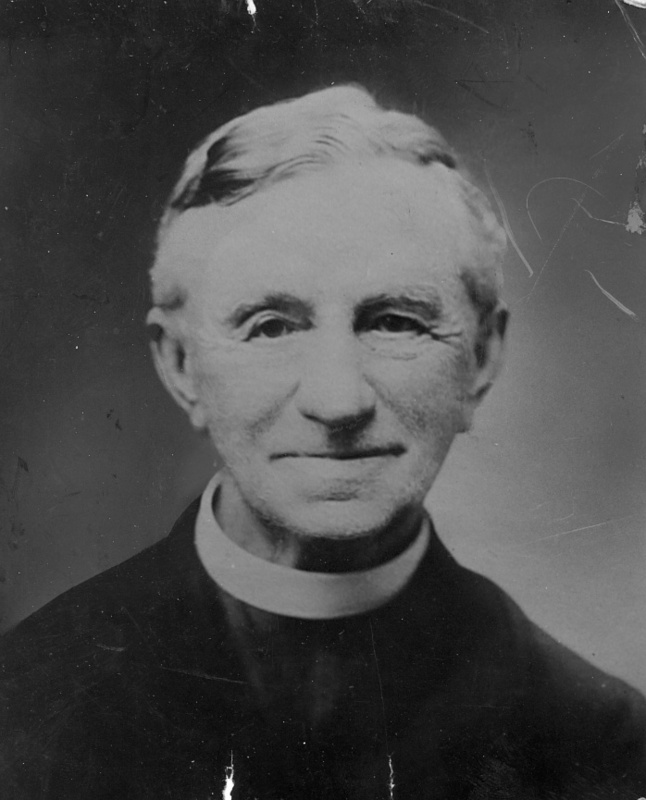 Father Meyer arrived in the United States from France on July 4, 1849, and arrived in Cincinnati, Ohio on the 16th of July. He was then appointed assistant to Reverend Henry Junckeer, the pastor of Emanuel Church in Dayton. It was here that Meyer met John Stuart, from whom he purchased land in 1850. It was on that land that the roots of the University of Dayton would be planted. In July of 1850, Father Meyer opened St. Mary's Institute with the boarders lodging in Stuart Mansion, which burnt down in 1855. Acting as Provincial of the American Province, Meyer, whose duties had considerably increased, was obliged to give up his directorship at the school in 1857. On January 30, 1868, Father Meyer passed away. Brother John Stintzi was born on November 10, 1821 in St. Croix, Alsace, France and in 1837 joined the Society of Mary at Ebermunster. In 1856 he was named Director of St. Patrick's School in Cleveland, Ohio which was the first English school accepted by the Marianists. By 1869 he had become the first Marianist "Inspector" (Director of Education) for the American Province. He came to Dayton in 1857 to help with the restoration of St. Mary's after its main building (Stuart Mansion) had been destroyed by fire a few years prior. At the end of his time as president the school enrollment had increased from 60 to 147. Pupils began to come in larger numbers and in 1860 a three-story building was added to the boarding school. Brother Stintzi died on February 7, 1900 in Dayton. Brother Maximin Zehler was born in Bergheim, Upper Alsace, France on August 18, 1827 and in 1844 at the age of 17 he joined the Society of Mary. 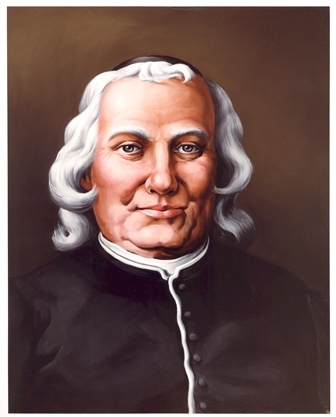 Brother Zehler was one of the original Marianists sent to America from Europe and in 1852 he became the first Director of St. Mary's School in Cincinnati, Ohio. In 1860 he was appointed Director of St. Mary's in Dayton and his time at the school could be considered the period of brick and mortar because of the school's rapid expansion. The first building erected by Brother Zehler was the Normal School (Zehler Hall) in 1865, which acted as the home for the postulants, novices, and scholastics of the Cincinnati Province. In 1866 Liberty Hall was built and in 1869 the Immaculate Conception Chapel was completed. In 1871 St. Mary's Hall was completed and was the largest building in Dayton. The last building added to the campus by Brother Zehler was the gymnasium (Rike Center), which was ready for use in 1874. The final contribution Brother Zehler made to the school was the creation of an Alumni Association. Reverend Francis Feith was born in Malsheim, Alsace, France on January 23, 1844. He entered the Society of Mary in 1857 and was sent to Paris in 1861 where in 1865 he received the degree Bachelor of Letters. Feith was ordained in 1874 and was appointed chaplain of St. Mary's Institute, Belfort, France and it was during this time that he prepared himself for missionary work in America. He arrived in America in February of 1876 and in August of that year he was appointed Superior of St. Mary's Institute in Dayton. 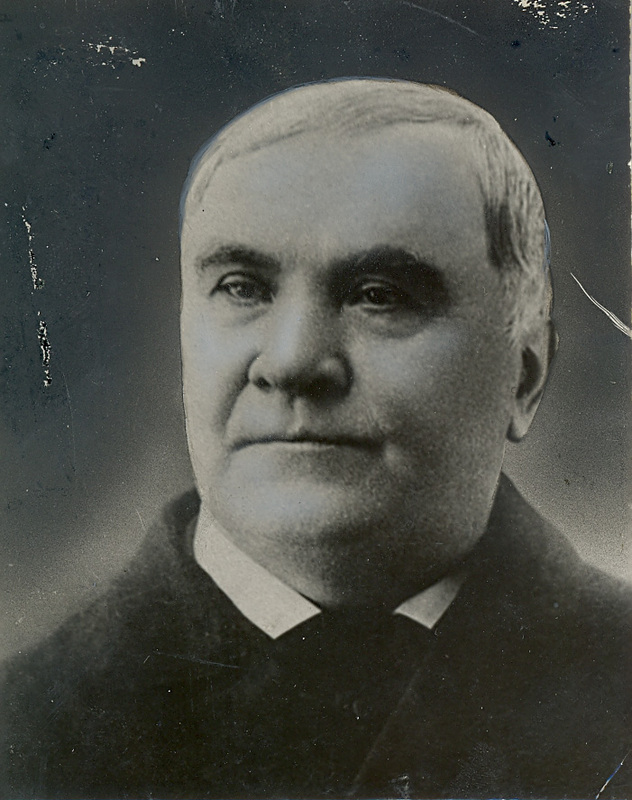 During his time as president St. Mary's was incorporated under the laws of Ohio in 1878. 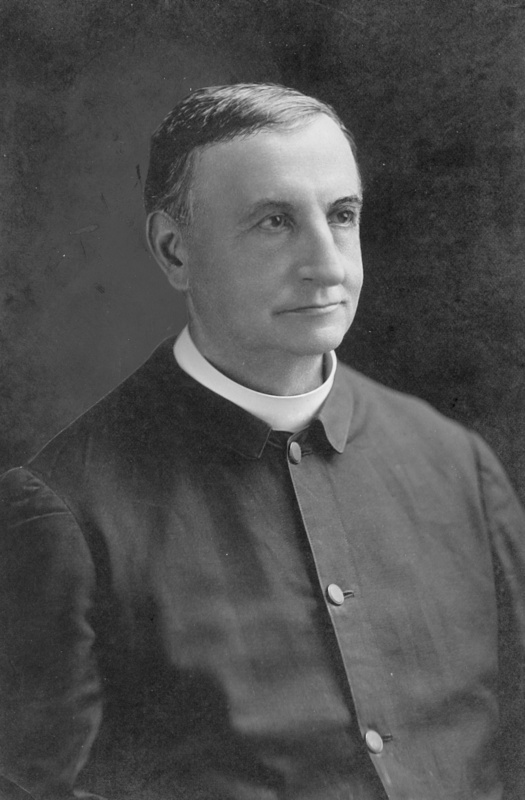 Then in 1879 he was appointed chaplain of St. Mary's College in San Antonio, Texas and three years later, he was appointed Director, which was the position he held until 1893. In 1893 Reverend Feith was sent as Chaplain to the Hawaiian Islands where he spent the remaining years of his life. On July 2, 1930 Reverend Feith passed away at St. Louis College, Honolulu, Hawaii. Reverend George Meyer was born in Galfingen, Alsace, France on January 23, 1850 and in 1867 he entered the Society of Mary. He arrive​d in Dayton in 1877 and was made Subdirector of St. Mary's Institute and in 1879 he became president. In 1882 St. Mary's Institute was empowered by an act of the General Assembly of the State of Ohio to confer degrees. Father Meyer witnessed the destruction of the convent by fire in 1883 and in 1884 St. Joseph's Hall was built in its place. This same year Reverend Meyer purchased a field from the Patterson family (where Kettering Labs and Baujan Field would later be built). After his time as President of the Institute he served as Provincial of the American Province for a total of twenty years and he served as Novice Master at Mt. St. John in Dayton, Ohio from 1918-1937. Reverend Meyer passed away in 1939.